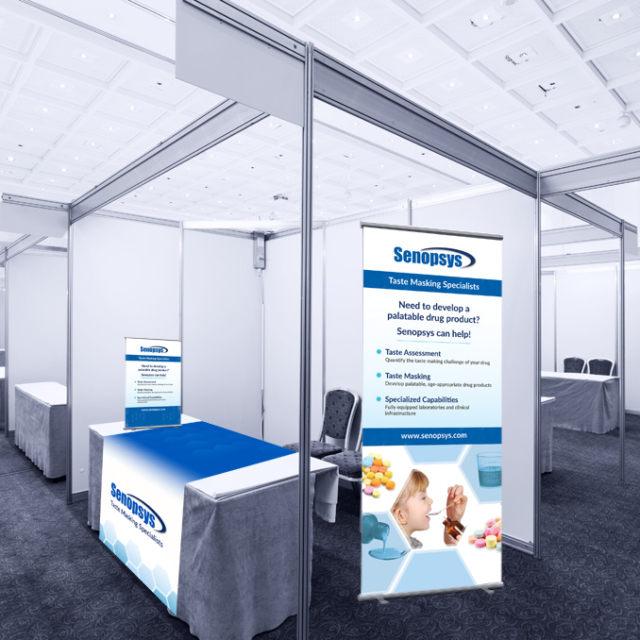 We printed and produced these tradeshow materials for Senopsys. The retractable bannerstand is our most popular banner because of its simplicity and mobility. It sets up in seconds and is light weight enough to transport easily. You can also get another banner printed and change them out in the hardware that comes with a lifetime warranty. We did a printed table runner and a small, tabletop banner to complete the tradeshow materials as well.